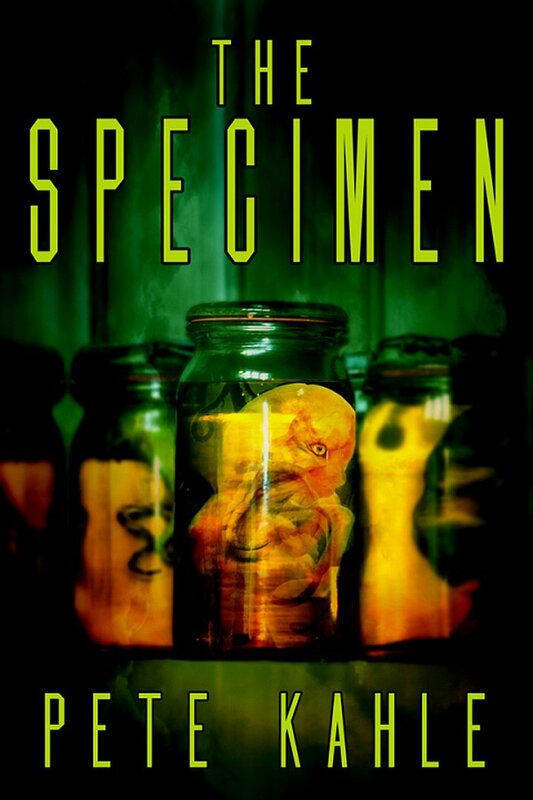 The Specimen: A Novel of Horror by author Pete Kahle, is a very ambitious book. Before the book even starts, we are greeted by a list of characters that shames even War and Peace. The story spans several locations, three different countries and takes place over hundreds of years. There are monsters, sadists, innocents, families, vikings, Aztec priests, little old ladies, and packs of vicious cats. The crux of the story is about a species of alien creature (a steed) who attach themselves to a human (rider). Each host and tentacled, creepy creature develop a certain complex relationship based on the age of the creature (some are eons old) and the intelligence and will of the human. Imagine the horror of carrying an alien creature attached to your back, hooked into your brain and nervous system, for a portion of your life. Specimen tells of several different steed/host relationships over time. The story also contains a nefarious multinational organization intent on wiping out the creatures. In the meantime, there are characters. So many characters. Most are well fleshed out, unique individuals. That helps to keep them straight in the reader’s mind. Throw in flashbacks and several main characters whose story lines intersect, and it can sometimes be a challenge to keep everything straight. The author does a good job of crafting scenes. Each one is well written and really puts you in the middle of the situation. The creatures are plenty creepy, otherworldly, and disgusting as they burrow into a person’s back with their spiny tentacles. The scene descriptions are good as well, and as I said the main characters are interesting individuals with their own strong attributes. Specimen is an action-filled story, certainly never boring. Some of the characters are pretty memorable. They might just stick in your head for a while and that is a compliment to the author. On the other hand, the story might have benefitted from a bit of a narrower focus. The reader may struggle at times trying to remember who is who and what time frame we are in. The ending can also be a little bit hard to sort out as a few different story lines all come crashing together. If you get confused, keep reading and things generally sort themselves out in a page or two. All in all, Specimen will hold your interest and keep you entertained. It’s not War and Peace, but it is a decent action/horror novel. Wow, sounds epic! Will definitely check it out!